Meet the New Boss, Just the Same as the Old Boss - Will Privatization of LDB Distribution Centres Actually Result in Any Changes? Last Tuesday's announcement by Liberal Finance Minister Kevin Falcon that the government were looking to sell off the BC Liquor Distribution Board's (LDB) two distribution warehouses and hand over operations by 2015, had many craft beer enthusiasts grinning from ear to ear as this seemed to hint that the cumbersome and much maligned BC liquor distribution system was about to be updated and streamlined. But the more light that gets shed the government's plans to privatize and on on who may be angling to buy the warehouses, the darker the future looks for those of us that were hoping the privatization of the warehouses may trigger an overhaul to the current BC liquor distribution system which controls either directly, or indirectly all liquor distribution in the province. It did not take long for many of us to turn those giddy grins to cynical frowns as we examined the situation and put the pieces together. As written in blogs Brewed Awakening, the Small Beer Blog, the sale and privatization may be signalling the possibility that something wicked this way comes instead the possibility of a fresh new start. The price for buying the two distribution centres will be beyond the scope of possibility for all but a handful of potential buyers who have a money bags full enough to be taken seriously and that short list does not look too craft beer friendly at this time. And it appears this "sudden announcement" may not have been so sudden and that lobbying and vying for position to buy the distribution centres may have been taking place for some time. Progressive Strategies, whose chairman is long time Liberal supporter and big business lobbyist Pat Kinsella, no stranger to controversary, or being involved in major privatization deals in BC, registered as an official lobby group for Excel Logistics in 2010 and they have targeted key Liberal personnel since that time. This is the same Kinsella who was the co-chair of the BC Liberal campaign in 2001, the election that shot Gordon Campbell into power and who more recently back Christy Clark in her successful bid to win the BC Liberal leadership. According to a Globe and Mail article by Sunny Dhillon and Justin Hunter, Kinsella is also a registered lobbyist for Pacific Western Brewing, BC's largest independent brewery who are decidedly not craft beer focused and the Mark Anthony Group, who describe themselves as " the leading privately-owned importer and distributor of fine wine, premium beer, and specialty beverages in Canada" and whose beer products are Hell's Gate and Stanley Park Amber Ale, not exactly craft beer friendly either. But those two groups are not the worst options to groups being linked to possibly take over the distribution warehouses and, at least in the case of Pacific Western, not likely candidates. The more disturbing information being uncovered is the link between Kinsella's Progressive Strategies, Excel Logistics and Canada's two biggest Breweries, namely Molson Canadian and Labatt's. That connection, according to a story posted in a story by Business in Vancouver (BIV), is that that Scott Lyons, who is named on the lobby registration by Kinsella's group as the contact for Excel, is the former director of distribution operations for The Beer Store, the Ontario-only based chain of retail beer sales outlets that has contributed close to $150,000 to the BC Liberal Party since 2005 and who are owned by Molson (49%) and Labatt's (49%), with the other two percent of ownership lying with Sleeman Breweries. No one knows exactly what has transpired or if backroom meetings/negotiations have taken place but if Kinsella and the Liberals have been meeting to broker a deal I hope they have been forced to swill Bud Lime and Molson Ex and not single malt scotch and quality BC craft beer. All indicators at this time point to the government just replacing themselves with a big business group, possibly a group sympathetic with our big national breweries, bent on getting in on the projected 900 million-plus dollars in profit the LDB is projecting for the upcoming years in their most current strategy plan and not on reforming the LDB distribution system. If those administering the system change but the system remains the same, this is bad news for the craft beer industry and we will see the status quo being maintained. In the words of Pete Townsend and The Who, it may be a case of "meet the new boss, just the same as the old boss," once the ink has dried on the contracts selling off BC's liquor distribution warehouses. It is the system that needs replacing, not the people writing the cheques for the employees of the distribution centres. It is my opinion that we need a more open market system of distribution, with the government overseeing and enforcing laws from a distance, not while they are acting as distributor and retailer at the same time. It would great great to see the government actually trash this whole broken system and create a new, functional and fair system even if it means they get rid of the LDB as it exists now. The craft beer industry would benefit greatly from having a system that helps promote and feature their products which have increased sales, since 2007, in litres sold by 47% while the bigger domestic breweries, who produce more than 150,000 HL/year, have seen their sales drop by 13.5% during the same time period. The craft beer market now enjoys a 15.7% market share, up from 7.8% in 2007 yet they fight for shelf space and are barely promoted by the LDB or in the government run BC Liquor Stores while their products are fully being represented in many private liquor stores and are flying off the shelves. Why do craft breweries, many of whom deliver their own products to ensure good customer service and proper treatment of their beer by licensees, have to collect the money for their products, then send that money and accompanying paperwork in to the LDB, wait several weeks for the LDB to process the paperwork before receiving their cut of monies collected by them upon delivery in the first place? For small businesses, this wait for cash to flow back to them could be critical to their operations. It makes more sense that if a craft brewery wants to look after its own distribution, that it collects the money and then sends the LDB their cut, meaning no delay in cash flow for the breweries looking after their own distribution and delivery. There are many other things that need to be addressed with the current distribution system, such as why do private Retail Liquor Stores (LRS) have to compete on an uneven playing field with the government-run BC Liquor Stores? LRS's have to buy their products through the LDB at a price marked up higher than the LDB-run stores buy the product. That is why, despite having lower overhead, the private stores have higher prices than the government stores. Why can restaurants and bars not buy directly from producers, cutting out the LDB as middleman? Why are there restrictions on cross-provincial border transport of alcohol? Why does the LDB mark up products well over 100% before selling it to retailers who again mark up the price before moving it to the consumer? Why can't importers import the products their clients want without having to wade through a mountain of paperwork with the LDB and and then have these products, if approved and listed, moved through warehouses where they may sit for weeks. These are the things that need to be addressed by the LDB, not who runs their warehouses. It will be interesting to see how the deal takes shape and what it looks like. You have to know that the government is not going to give up their piece of the 900 million dollar profit pie, so how will the new owners of the distribution centre make their cut? I have already seen emails sent out by LDB General Manager Jay Chambers stating that the price structure for products will stay the same and that the privatization will not effect the government liquor stores so what really will change other than the Liberals can claim the money from the sales of the distribution centres on the plus side of their budget ledger. So many questions with no real answers. It will be interesting to see what transpires and I, for one, will be keeping a close eye on things. As a person who has been advocating long and hard for the review and reform of BC liquor laws and the way alcohol is controlled and distributed in this province, I would like to thank you for finally taking notice of the loud and persistent calls for changes. For a while there I was wondering if the government's strategy was to allow us liquor-law naysayers to scream ourselves hoarse and fall silent due to sheer exhaustion, but your quick call to action after being put in charge of both the Liquor Control and Licensing Branch (LCLB) and Liquor Distribution Board (LDB) has me thinking there is a glimmer of hope that BC can begin to treat those who can legally consume and those who distribute and sell alcohol in BC like the adults that they are. For as long as I have been aware of alcohol and liquor laws, I have been aware of BC residents and alcohol-related businesses crying out for changes to our out-dated and over-bearing liquor laws and system of alcohol distribution. The way in which these laws restrict the freedoms of those who choose to partake in downing a few adult beverages here in BC and the seemingly arbitrary way the LCLB enforce these laws, may have made perfect sense in post-Prohibition British Columbia, circa 1925, but sir it is now 2012 and if those who believe the Mayan calendar may indeed be predicting the Apocalypse on Dec 21, of this year, would like you to hurry along with these promised reforms. By announcing that the BC Liberals are finally looking at "a number of issues on liquor", so that changes can be made, has many of us advocating for changes collectively holding our breath. Can real change and the end to the Orwellian, Big Brother style of controlling the liquor industry and liquor consumption in BC be just around the corner? You seem to be a man of action and I am sure it is no coincidence that the shift of responsibility for all things alcohol in BC to you, from the Ministry of the Solicitor General, came at a time when a grassroots movement and a groundswell of support calling for reforms to liquor laws was growing, rallied by the ridiculous and short-sighted decision by the LCLB and General Manager Karen Ayers to cripple The Rio Theatre's ability to show movies even when alcohol was not being served. My only fear is that this promise to review and "fix" liquor law problems is motivated by the Liberal government's fear of populist, grassroots' movements, as you are still stinging from the whole HST debacle and the Bill Vander Zalm-lead campaign that resulted in the hated tax being repealed and not by truly recognizing that there is a need for change. There will be huge disappointment and a further decline in Liberal popularity with BC voters, if this review and reform turns out to be nothing more than a few superficial changes, made to give the appearance of listening to voters and acting on their concerns, to quell voter unrest, when in fact nothing really changes. A few band-aids slapped on as a quick fix will not suffice when total reconstructive surgery is required. It will take more than allowing us to enjoy a beer while watching a movie in a theatre to "fix" and "reform BC liquor laws. For instance, why does the LDB have complete control over what alcohol is sold in this province, for what price and how it is distributed? Why must private liquor stores complete on an uneven playing field, having to buy all their liquor from the LDB who mark up the price so that these private stores must sell their alcohol at a higher price than the government run BC Liquor Stores? Why, for that matter, does the LDB mark-up booze well over 100% before selling it off to bars and restaurants who must again mark up the price to make a profit and cover their operating costs? Why does the LDB, not consumer demand, get to dictate what products the general public and the hospitality industry can and cannot buy? Why is it illegal for freedom of movement in regards to alcohol across provincial borders? Why can consumers not BYOB to restaurants like in other provinces like Alberta, Manitoba and Quebec? Why, in the name of public safety can there not be dancing and plugged in, live music in restaurants? Why can I bring my daughter into a restaurant with a wine and beer list ten pages long, with those wines and beers being consumed on all sides of us, yet I cannot take her into a small, quiet, local neighbourhood pub which may feature a tenth of the alcohol selection and offer a great food menu? Why is it so difficult to open small, local microbreweries and brew pubs? I really hope you have taken the time to read this letter Mr Coleman as I am one of a legion of voters who feel the same way. We are fed up and we are tired of having our enjoyment restricted because a few out there may abuse the system and serve/consume alcohol irresponsibly. Let those of us who are responsible sell and consume responsibly, without government interference and punish those who do serve to minors, over-crowd their licensed establishments over-serve and over-consume. I hope during your "review" of liquor laws you take the time to consult with the hospitality industry, to listen to people like myself and include consumer advocacy groups such as CAMRA Vancouver and CAMRA BC who promote and educate about responsible consumption of alcohol. Does anyone out there know what the BC Liberal Party and a chain of alcohol retailers in Ontario called The Beer Store have in common? Tens-of-thousands of dollars in donations, that's what. Recently a friend of mine sent me a link that is basically a search engine that allows you to see who has contributed what to whom, since 2005, in regards to political donations in BC and it seems that The Beer Store, a chain of retail stores that sells beer found in exclusively in Ontario, loves the BC Liberals, something that made me very curious. Why the Hell would a chain of Ontario-based, retail beer stores feel the need to contribute to the BC Liberals, the same Liberals who control the Liquor Control and Licensing Branch who, in turn, control how alcohol is regulated and distributed in this province, but who have zero influence out east in the Centre of the Universe? It seems, on the surface, an odd alliance. After about 25 seconds of intense investigative journalism of the highest quality, I broke the case and figured it all out -The Beer Store (TBS) is owned by Molson Brewery (49%), Labatt Brewery (49%) and Sleeman Brewery (2%) all of whom have a very vested interest in being in the good books of those who control all liquor distribution and who run the largest chain of liquor stores in BC, namely the BC Liquor Stores. The Beer Store has a virtual monopoly on retail beer sales in Ontario, about 85% of the market and has been accused by the Ontario Craft Brewers Association (OCB) of not playing fair with Ontario's craft breweries. According to OCB president John Hay and chairman Gary McMullen, in an article that appeared in the Toronto Star in July 2011, TBS is making it very difficult for the smaller breweries, with smaller operating budgets and shallower pockets, to get their products listed and properly represented in TBS's 440 locations which dominate the beer retail business in Ontario. Not surprising, since TBS are owned by the OCB's competition. Here in BC, despite the fact that, according to the BC Liquor Distribution Branch's (LDB) latest Quarterly Market Review, domestic beer sales by the large (over 150,000 HL of production) domestic breweries are plummeting while the smaller (under 150,000 HL production) domestic breweries' sales are increasing significantly, the BC Liquor Stores, which are government run, continue to give the lion's share of their shelf and promotional space dedicated to beer to the large, national breweries. Local craft breweries, if they are lucky enough to get their beer listed with the LDB, have to fight over the limited space left, often hidden behind the mountains of cases of industrial swill and their related promotional displays that dominate the beer sections of these stores. Calling again on my superior investigative reporter skills, I plugged in a few other names into the search engine and found that The Canadian National Brewers, a lobby group that works on behalf of Molson Breweries, Labatt Breweries and Sleeman Breweries, have also contributed equally significant amounts of money to the local Liberals since 2005. Labatt Breweries, Molson Breweries and Sleeman Breweries have contributed directly to the BC Liberals but the totals that are easily identified as coming from them are significantly less. It is curious to me that these big breweries are funnelling dollars to the BC Liberals through channels that at first glance do not appear to be connected to them. The contributions to the BC NDP party by all the groups mentioned in this post were drastically less, all totaled less than $5,000, at least from what I could find. Now I am not insinuating that these political contributions to the BC Liberals are greasing the wheels for the big breweries to maintain the status quo and keep the prime real estate in the government run liquor stores, but it certainly isn't hurting. Maybe The Beer Store chain were just in need of tax write-offs and they really dig what our BC Liberals are all about? Who knows, but the cynic in me has me thinking that there is some other motivation for these gratuitous political contributions, namely, maintaining the system as it is. Where there is money like that being donated, there are expectations from those who are providing the donations. That kind of cake creates influence and gives the contributors a much better chance of catching the attention of the law and policy makers. I am curious to know if these contributions would have been directed the way of the NDP if they held the reins of power in BC over the same time period. We may soon know if the political polls showing the NDP to be leading in popularity with BC voters are correct and they get elected into power. I found all this out in about five minutes. I wonder what is going on behind the scenes and how else Canada's big national breweries are reaching out to governments across the country to gain favour and influence. Maybe I am wrong and this whole post is based on nothing but my ever-increasing paranoia related to national and multi-national corporations acting as puppet masters for politicians around the world. In the grand scheme of things I am sure that Belgium-based Anheuser-Busch InBev, who own Labatt Breweries, American-based Molson Coors Brewing Company, who own Molson Breweries and Japan-based Sapporo, who own Sleeman Breweries are not too concerned about what transpires in our little corner of the world, but you can be sure that the Canadian national breweries are getting just a little worried about the growing market share of the craft breweries on BC. With hundreds of millions of dollars in beer sales in BC at stake, each percentage point of the market is huge dollars in sales, the big boys will do everything they can to protect their turf. I am curious to see just how far the national breweries will go to tilt the playing field in their favour and maintain their stronghold in the government run liquor stores. Those of us who have been advocating for changes to BC's archaic and restrictive liquor laws owe the BC Liquor Control and Licensing Branch (LCLB) & General Manger Karen Ayers a letter of thank you for their handling of the Rio Theatre liquor license-movie screening debacle. 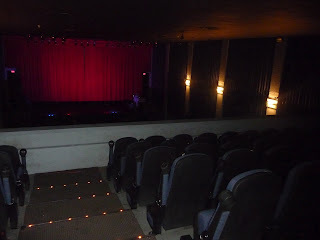 With one ill-advised, short-sighted move, Ayers created a grassroots movement that has outraged the general public, captured the attention of the mainstream media and rallied politicians, both civic and provincial, to join the swelling numbers who believe the LCBC are being heavy-handed and unreasonable by barring all movies at the iconic 74-year-old, Eastside theatre. 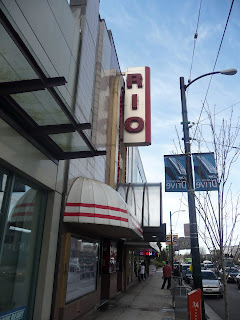 I'm assuming that if you are reading this blog you are fairly up-to-date on the whole fiasco, but if not, in a nutshell, the RIO was forced to stop screening movies due to a "condition" placed on their liquor primary license 30 minutes before owner Corrine Lea was to sign off on the license stating the theatre could not screen any films at any time. Lea had applied for a liquor primary license so she could sell alcohol at the multi-purpose venue's live events at night knowing she could not sell booze when screening films due the LCLB's law prohibiting movie theatres from doing so. What she planned to do was show films during the day, with the alcohol safely locked away and then use the liquor primary license, which is valid from 6 PM to 1 AM when, when The Rio was hosting live music shows, burlesque or any other number of live events they book. To the majority of us, this seems like a reasonable and responsible way to operate. Movies, popcorn and soda during daytime, all-ages movies and beer and burlesque at over-19, no-minors-allowed shows at night. Not so says the LCLB who fear that...actually, I have no idea what they fear in this situation as the logic is so illogical and downright unreasonable. The law is in place to stop minors from buying booze at the theatre's bar and then drinking it cloaked in the darkness of the theatre. But Lea was planning on having the booze locked away during the daytime, all-ages shows. Come on, teenagers have been sneaking alcohol into theatres forever and don't need a concession stand bar to secure booze. 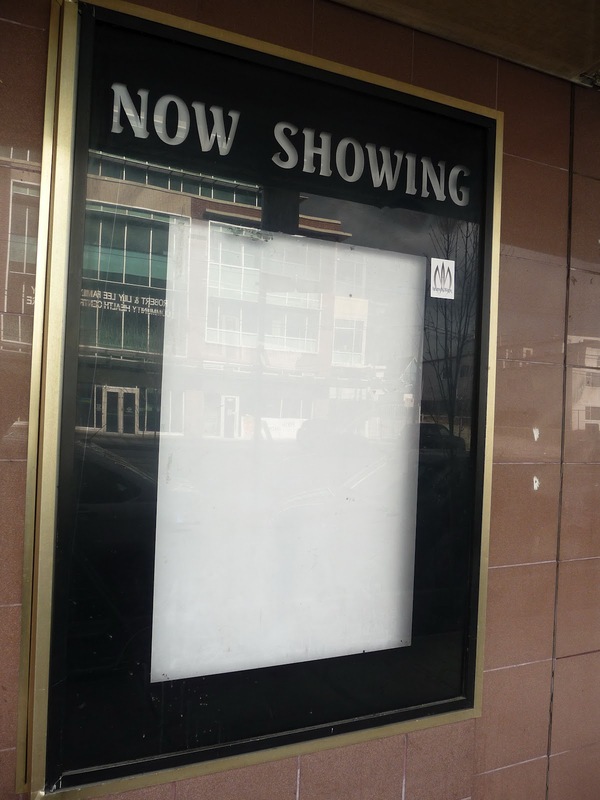 And because of this, adults are not allowed to sip a cold beer or glass of wine while enjoying a movie here in BC, something that is not the case in much of the world where public order and safety seems to be intact. I have even read that Manitoba is allowing the screening of films with booze and that Ontario is not far behind. January 31st, Vancouver City Council voted unanimously to support Lea in getting the restrictive condition removed so The Rio can show films during the day, sans alcohol, and plan to lobby Solicitor General Shirley Bond, whose ministry is ultimately responsible for the LCLB, to get Ayers to do the right thing and do it quickly as The Rio is losing $2,000 a day, according to Lea. NDP MLA Jenny Kwan has spoken out in the media and written an open letter of support to Bond and stated on a CKNW radio call-in show that "with a single stroke of the pen" Ayers could remove the condition and get The Rio showing movies on their silver screen. Kwan should have a fairly good idea as to how the system works as she has been involved at the provincial level for close to 20 years so when Ayers says her hands are tied, I wonder just how hard she is trying to loosen the ropes that bind them. This show of support by elected politicians of any level for anything pro-alcohol is almost unprecedented. occupying seats while movies screen at The Rio!! Rumours are circulating around that Bond and the Liberal Government are looking to make changes to the current BC liquor laws, many of which date back as far as the 1920's, to bring them into the 21st Century. Bond herself has admitted to the press in a prepared statement that her government is looking for, "ways to streamline and modernize our regulation of liquor in British Columbia," and are specifically looking for a solution to address The Rio's current predicament. Maybe it is the lingering sting of the defeated HST that began with the voters of BC voicing their outrage against the way the hated tax was introduced and ended with Gordon Campbell running off to London, England with his tail between his legs that has those in power backpedaling and those in opposition salivating. That public outraged was harnessed by a very clever and opportunistic Bill Vander Zalm and turned into an organized grassroots' movement that quashed the tax. I think the BC Liberals, fearing another campaign of organized public protest has them and the LCLB hunkering down in their ivory tower trying to figure out a way to defuse the situation before it grows stronger. On a daily basis, residents of this province who drink alcohol get screwed royally by the LCLB and we mostly take it with a smile or, at worst, take it with little more than the odd grumble and the occasional rant to our friends, family or the unlucky stranger sitting next to us in the bar. But hardly ever do we get organized and political and truly let LCLB & GM Ayers and her out-of-touch brain trust know how we really feel about their arrogant, patronizing, we-know-better-than-you attitudes towards our province's out-of-date, archaic and often down-right illogical & restrictive liquor laws which are apparently the way the are in the name of "public safety". Ayers and the LCLB are claiming their hands are tied, as they do, when they interpret the often loosely worded laws in a manner that suits them. Ayers claims she has to enforce the law that states movie theatres cannot have liquor primary licenses because the law exists therefore must be adhered to. But in this case, it is not so cut and dried. There is no legal definition of what a movie theatre is. The RIO Theatre has many functions, screening films being one of them. Lea has insisted all along she would comply with not serving any alcohol during the time she showed movies and would do so until the law was changed to allow for such activities. There are venues, including The RIO in the past, that apply for Special Occasion Licenses to serve alcohol during movie events and they have been successful and you know what, public safety did not disintegrate and drunken rioters did not take to the street. That only happens related to hockey games. On that note, why is Rogers Arena allowed to serve booze? Are there not a significant amount of minors who attend those events who could easily obtain booze and consume it in anonymity while hiding amongst the 18,000+ fans? "There was no dialogue," stated a frustrated Lea about her interactions with the LCLB and Ayers. "Literally 30 minutes before I was to sign off on the license I received an email stating I could not show any movies and any time so I was forced to chose between having my liquor license and not showing movies or losing the license and showing movies. I was hoping that I could work out a solution (with Ayers) that would work for everyone." Ayers and LCLB have been described by many in the BC alcohol industry as being heavy handed with their it's-our-way-or-the-highway style of operation. They have been called vindictive by many and very few speak out publicly against them or rock the boat for fear of reprisal. Lea had been vocal in the press about the need for liquor law reform specifically in regards to the law preventing theatres from selling alcohol during film events prior to the condition being placed on her license and rammed down her throat. Last September the LCLB almost crippled the Great Canadian Beer Festival when Ayers sent an email to festival organizer Gerry Hieter, who has often been openly critical of the LCLB and Ayers in particular, advising him less than 24 hours before the event that US breweries could not pour beer. The decision was again unexpectedly reversed less than four hours before the festival, which was expecting 7,000 beer lovers to attend, opened and to this day Hieter has no idea what prompted these bizarre, last-minute decisions other than the LCLB sending him a message that they can and will make life very difficult for him because they do not like the idea of a great, two-day celebration of craft beer. And it seems this need by the LCLB to operate by the letter of the law, without flexibility or compromise is selective. There are some liquor laws out there that make sense and actually are in place to protect consumers and promote public safety. Take the liquor law that dictates that all licensees must provide serving size-price lists to customers that is widely ignored by licensees and completely unenforced by Ayers and the LCLB. CAMRA Vancouver's Fess UP to Serving Sizes (FUSS) Campaign, is currently trying to get the LCLB to enforce the one liquor law that might actually make sense. It seems that all liquor laws are not created equally and that the LCLB enforce only those they feel like enforcing. Let's hope that the public and politicians keep voicing their support loudly for The Rio, which now symbolizes the very real need to make some major changes to our liquor laws. It is not often where those of us in Lotusland get riled up enough to take on the establishment. It is time we say enough is enough and demand that the politicians treat us like adults who can fend for ourselves. We don't always need protection from ourselves. It would be brilliant to see the LCLB give licensees and the people of BC the chance to prove they can operate responsibly if given the latitude with more liberal liquor laws. Punish those who do not choose to operate in a responsible manner and leave the rest of us alone to enjoy a delicous beer while watching a movie at our local cinema.